My wife is a very successful Registered Nurse specializing in Labor & Delivery of nearly seventeen years. To say she has ‘been there, done that’ in her field is an understatement and she has had the opportunity to work with some of the top medical minds in the nation during her current tenure. She came to me today and described how different a Family Practice physician is compared to a specialist, such as a Neurologist, an ObGyn or a Cardiologist. All are ‘doctors’ in the sense that they each have a medical degree, but their expertise cannot be more different. This got me thinking: It sounds very similar to the differences between an average stockbroker and a retirement income planner. Both have similar licenses and credentials, but their expertise cannot be more different at times. The average stock broker is similar to the Family Practice doctor. Their job is to do their best, given their capacities, and then determine if a referral to a specialist is needed or not. If the condition being treated is out of the ability of the Family Practice doctor, they then send the patient to a specialist in that particular medical area. This is exactly what happens in the retirement world, as well. There is no ‘crystal ball’ when it comes to picking stocks and it has even been determined by many third-party media studies – such as Forbes, Wall Street Journal and others – that animals (monkeys & cats, to be specific) are better stock-pickers than the average human stockbroker. Sad, but true. The studies are enlightening, to say the least. Accumulating assets can be based on best-case guesses, but retirement income planning must be based on facts. 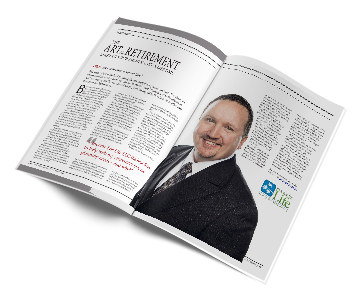 The Retirement Income Planner is similar to the specialist. Their job is to offer specific expertise that provides exact outcomes. Retirement Income Planners cannot ‘hope for the best’ and then refer a person on to someone else that can do the job better. 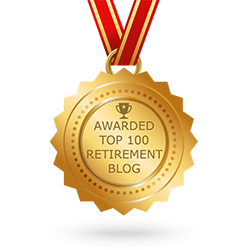 Retirement Income Planners must provide contractual guarantees, they must consider inflation costs, they must take into account possible medical events that can hinder a retirement account and they must make sure the retirees have a steady, guaranteed income stream for life – and it all must be guaranteed for an entire retirement plan which could be 20-30 years. That is hard work. That is a specialist. That is what we do at Income For Life LLC. Contact our office today to learn more about how we can help you with your financial planning.